Well, you might as well just sit. Well, you might as well just lay here. Well, you might as well just stay. Cause I'm not moving on. Sera Cahoone, a singer and songwriter from Seattle, Washington, sings those few lines in her song, "You Might As Well," from her 2008 record, "Only As The Day Is Long." There's either too much to hang onto or not enough. Later in the session, she sings, "I'm safe for now but I know the rest is on its way," and you're left wondering if the sky's really going to fall. You sorta just have to take her word for it. It sounds like she's seen it happen once or twice before and she might even have the photographs to prove it. Cahoone's somber songs of living feel like a poem by Robyn Sarah, entitled, "Riveted." 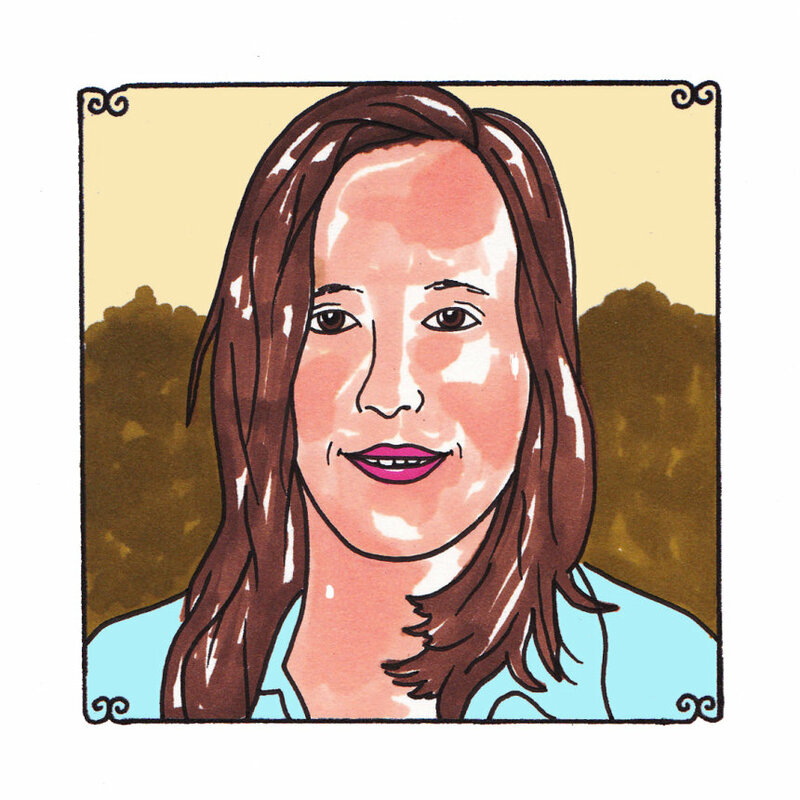 **This Daytrotter Session was originally recorded in September 2010. Sera Cahoone's new album, Deer Creek Canyon, will be released on September 25th via SubPop Records.